Way back in February, I decided to stop washing my hair with shampoo. The experiment lasted four months. Here’s what happened. The last time I touched based with you was three months in. There had been minor hiccups in the road, but I was feeling quite confident in looking at the road ahead. In my last post, I mentioned the dandruff problem that I thought I had managed to contain with the use of lemon rinsing. Unfortunately, after a few weeks my scalp seemingly adapted to this and went utterly beserk again. There was always going to be a breaking point in this experiment and I ended up reaching it – washing my hair with some leftover shampoo and feeling all the better for it. Here are the reasons why I chose to end the experiment. I am extremely vain when it comes to my hair, particularly as we’ve come a long way together. It was quite unruly in my youth (in every school photo as a kid I’m sat in the middle surrounded by girls with braids and smooth ponytails, whilst I sport a bird’s nest), but now that it’s settled down, we get along quite well. I have never coloured it and don’t ever plan to and as a result, it’s shiny and voluminous. It looks healthy and I like it that way. I think I expressed in an earlier post that when I tried to give up shampoo whilst living in London last year, I was concerned with how knotty my hair was getting and how much was falling out with each brush. Going bald is one of my worst nightmares, so when it started knotting up at the end of the fourth month, I knew I had to re-evaluate the situation. I had ah, accidentally left my toiletries bag at my Aunty’s in England when I left for Australia late last year – the last of my curl conditioner was among what was left behind. My Aunty ended up posting me a few things from that bag, which included my hair stuff. I hate waste and those little bottles had been sitting there, haunting me for quite some time. I feel a lot better knowing I can now use the contents within them and upcycle the bottles for another purpose (they’re under 100mls, so they’ll make perfect travel bottles). 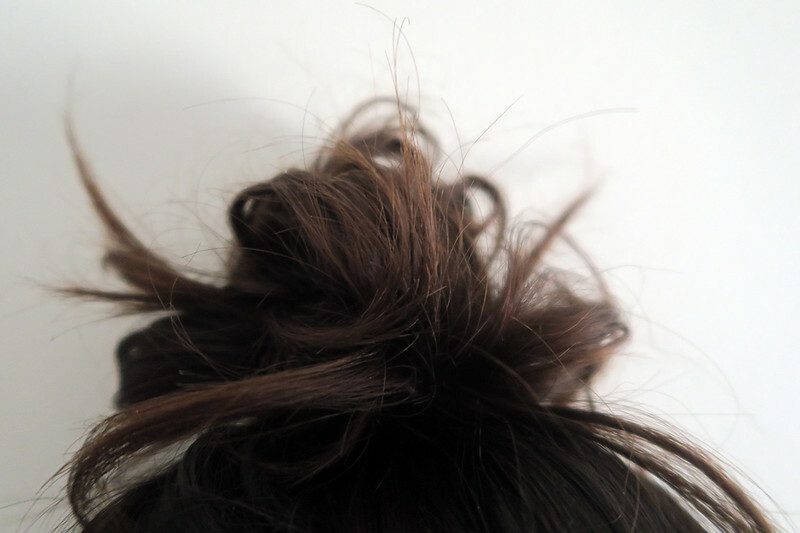 I felt awful when I first washed my hair and walked around moping until I realised – you know what? It doesn’t matter. I’m not seeing it as a failure – in fact, I’m pretty proud that I managed to keep up with it for as long as I did, let alone take the plunge in the first place. I did this because I wanted to reduce my use of plastic and even a few weeks on, haven’t managed to waste anymore in the pursuit of having a clean scalp. I’m still using the bottles of shampoo that I had bought almost a year ago now. When they run out, I’ll either top my little bottles up at the bulk food store, or invest in a shampoo bar, as I’ve finally found some in Australia. For others based elsewhere, I recommend either Meow Meow Tweet’s (see retailers worldwide here) or J.R. Liggett‘s shampoo bars. This way, I’ll be continuing to use less plastic at home and when travelling, which for me at least was always the aim of the game. 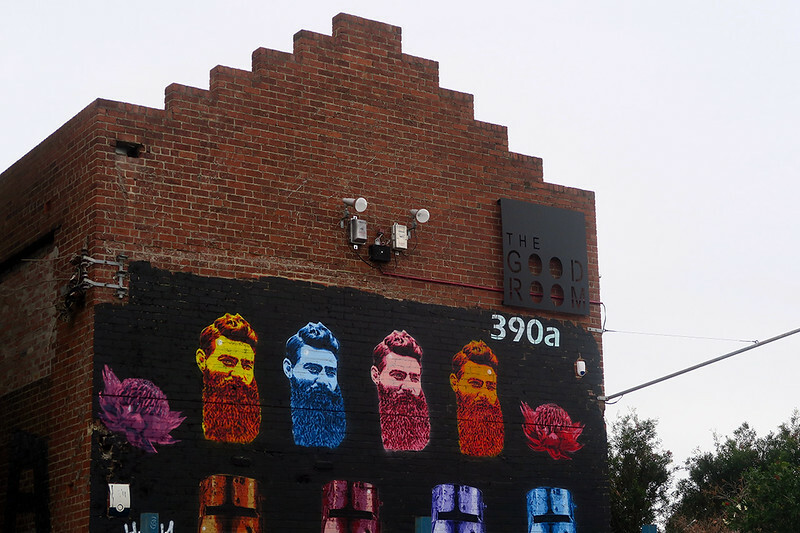 I’ll bet Ned Kelly never washed his magnificent beard with shampoo. All that being said, I’m not against going for long stretches without shampoo ever again in my life. I almost think those four months served as quite a good detox for my hair – it’s quite possibly now the shiniest and bounciest that it’s ever been. I’ve only been washing it once a week and I wouldn’t be afraid now to go for long stretches with using water only, particularly whilst travelling. I mix my curl cleanser with bicarb (baking) soda, which is a trick an old hairdresser told me years ago. It’s much more effective at removing dandruff than Head and Shoulders or any of the like – I’ll tell you that much for free. I still believe that for some people using no shampoo can be a success. It was my scalp that let me down in the end after all, rather than my hair. And it’s worth giving anything in life a try – as Samuel Beckett said: Ever tried. Ever failed. No matter. Try Again. Fail again. Fail better. And in this circumstance, fail better I most certainly have. 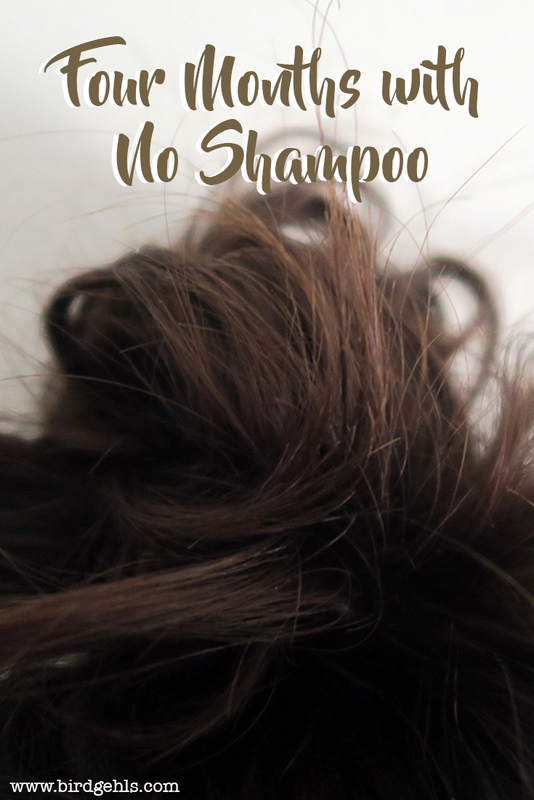 Would you consider giving up shampoo? Pin me baby one more time. This article contains affiliate links to products I have used in the past and therefore recommend. You’ll have to let me know how you go. I don’t regret trying ? Whoa, I am so impressed!! Four months without shampooing, you’re a champion!!!!!! 😀 😀 😀 What’s the shampoo bar you’ve found here? Or is that one of the links you posted above? Thanks Kati! As I said, I was a bit “ugh” about it at first as I was hoping it would be a forever thing… but that’s really silly thinking. Four months is a long time, after all! I bought a Meow, Meow Tweet Shampoo Bar from riatta.com.au – I’ve used their shampoo bars before and they’re one of my favourite beauty brands. Was pretty stoked to discover you could get their stuff in Oz and got their new roll on deodorant to try too. Loving it so far and the packaging is biodegradable! Thank you for the hair compliment too! I almost dyed mine blonde when I was a teenager! Really glad I never went through with it now, because it would have surely looked horrific. Haha and I know what you mean about the 20 years thing… time flies. I’ll check out the shampoo bar, thanks for that. I love the ease of just having a bar rather than a big bottle (not to mention the environmental side of things). Aw, thanks lady! Yeah, I agree. I used to cart my shampoo and conditioner everywhere with me when travelling… so good to have that luggage space back. More room for books! !